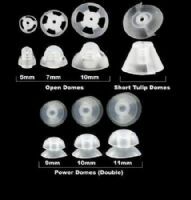 Resound Domes come in a pack of 10. Please note that due to hygiene rules we cannot accept the domes back for echange /refund if they have been used. 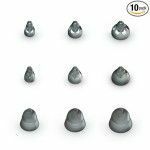 These Resound domes are suitable for the new Resound hearing aids like the Resound LiNX2 RIC. They fit the new receiver types which take a cerustop wax filter. 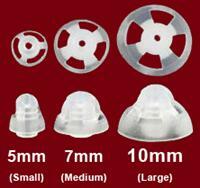 If your receiver takes the red and blue HF4 wax filters then these domes will not fit your hearing aid.